Jet Ski’s guys…. They are so much fun, nobody really needs to be convinced to get on one and go for an awesome ride out on the Bay. Unfortunately, restriction in New York State make it difficult for you to get your hands on one unless your willing to shell out and purchase one yourself. 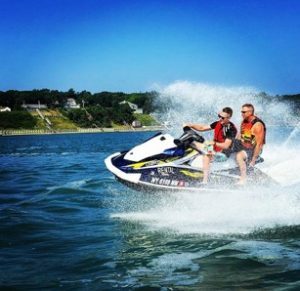 lucky for you Peconic Water Sports has you covered with our fleet of new Yamaha jet skis and our extremely popular Orient Point Tour that gives you a really fun hour on the water on your very own jet ski, you can choosey to ride along or with a friend. 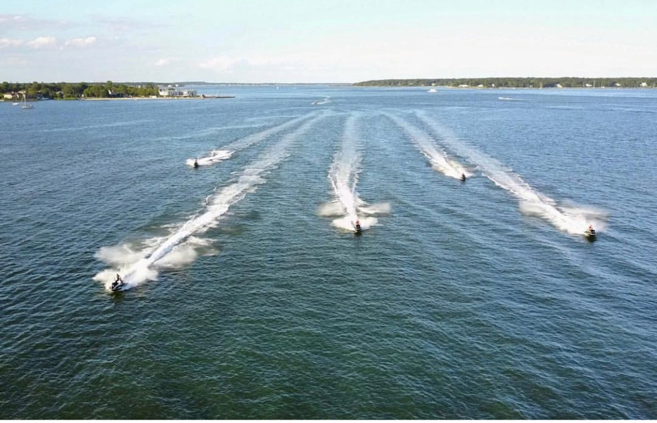 After arriving at Goldsmiths Marina in Southold, NY and completing some basic paperwork you will be shown to your ski and given a brief but informative safety talk about what to expect out there. On your excursion our guide will stop by some awesome landmarks like Shelter island, Greenport Town and Bug Lighthouse near Orient Point. Don’t think of our guide as a supervisor, you can go as fast or as slow as you want on your ski and you are accompanied purely because of the high volume of boating in our area. After your tour enjoy Greenport Town nearby or maybe take a lunch break at the delicious and famous Southold Fish Market right across the street from us. The great thing about this adventure is you don’t have to bring anything but your swimwear, sunglasses and sunscreen, we take care of everything else. If you are wondering if kids can go on the skis the answer is yes, your child can ride as a passenger but not drive the ski, young adults between the ages of 16 and 18 can ride the ski but are required to have a NY State Boating License and bring the physical copy of the license with you, click the link and it will take you to the course which takes most of an afternoon but the license is then good for life. 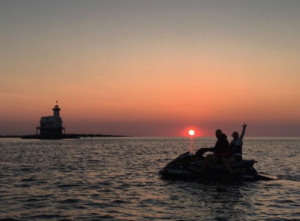 Call us and book your summer adventure now and have a blast on the water with us!